Q 3. Is the reverse charge mechanism applicable only to services? Q 4. What will be the implications in case of purchase of goods from unregistered dealers? Q 5. In respect of exchange of goods, namely gold watch for restaurant services will the transaction be taxable as two different supplies or will it be taxable only in the hands of the main supplier? Q 6. Whether supplies made without consideration will also come within the purview of Supply under GST? Q 7. Who can notify a transaction to be supply of goods and/or services? out of 3 business verticals? Q 9. Can composition scheme be availed if the taxable person effects inter-State supplies? Q 10. Can the taxable person under composition scheme claim input tax credit? Q 11. Can the customer who buys from a taxable person who is under the composition scheme claim composition tax as input tax credit? Q 12. Can composition tax be collected from customers? Q 13. What is the threshold for opting to pay tax under the composition scheme ? Q 14. How to compute ‘aggregate turnover’ to determine eligibility for composition scheme ? Q 15. What are the penal consequences if a taxable person violates the condition and is not eligible for payment of tax under the Composition scheme ? Q 16. What is the minimum rate of tax prescribed for composition scheme ? Q 17. When exemption from whole of tax collected on goods and/or services has been granted unconditionally, can taxable person pay tax ? Q 18. What is remission of tax/duty ? Q 19. Whether remission is allowed under GST law ? Q 20. Whether remission is allowed for goods lost or destroyed before supply ? Q 21. Whether remission is allowed on goods lost or destroyed for all reasons ? Q 22. Does the model GST Law empower the competent government to exempt supplies from the levy of GST? Ans. Article 246A of the Constitution, which was introduced by the Constitution (101st Amendment) Act, 2016 confers concurrent powers to both parliament and state legislatures to make laws with respect to GST. However, -clause 2 of Article 246A read with Article 269A provides exclusive power to the Parliament to legislate with respect to inter-state trade or commerce. Ans. Supply of goods and/or services. CGST & SGST will be levied on intra-state supplies while IGST will be levied on inter-state supplies. The charging section is section 7 (1) of CGST/SG Act and Section 4(1)of the IGST Act. Ans. No, reverse charge applies to supplies of both goods and services. Ans. The receiver of goods will not be able to get ITC. Further, the recipients who are registered under composition schemes would be liable to pay tax under reverse charge. Ans. No. In the above case the transaction of supply of watch from consumer to the restaurant will not be an independent supply as the same is not in the course of business. It is a consideration for a supply made by the restaurant to him. The same will be a taxable supply by the restaurant. Ans. Yes only those cases which are specified under Schedule Ito the Model GST Law. Ans. Central Government or State Government on the recommendation of the GST Council can notify a transaction to be the supply of goods and/or services. Q 8. Wifi a taxable person be eligible to opt for composition scheme only for one out of 3 business verticals? Ans. No, composition scheme is applicable subject to the condition that the taxable person does not affect interstate supplies. Ans. 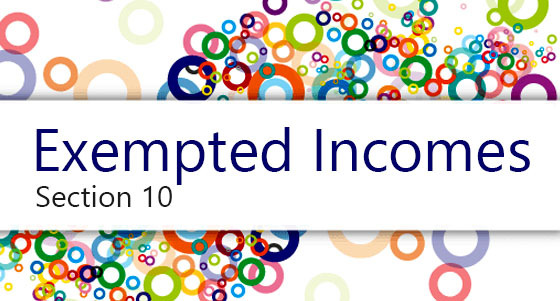 No, taxable person under composition scheme is not eligible to claim input tax credit. Ans. No, customer who buys goods from taxable person who is under composition scheme is not eligible for composition input tax credit because a composition scheme supplier cannot issue a tax invoice. Ans. No, the taxable person under composition scheme is restricted from collecting tax. It means that a composition scheme supplier cannot issue a tax invoice. Ans. The threshold for composition scheme is Rs. 50 Lakhs of aggregate turnover in financial year. Q 14. How to compute ‘aggregate turnover’ to determine eligibility for composition scheme? Ans. The methodology to compute aggregate turnover is given in Section 2(6). 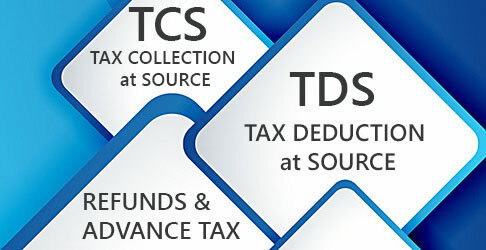 Accordingly, ‘aggregate turnover’ means ‘Value of all supplies (taxable and non-taxable supplies + Exempt supplies + Exports) and it exciudesTaxes levied under CGST Act, SGST Act and IGST Act, Value of inward supplies + Value of supplies taxable under reverse charge of a person having the same PAN. Q 15. What are the penal consequences if a taxable person violates the condition and is not eligible for payment of tax under the Composition scheme? Q 16. What is the minimum rate of tax prescribed for composition scheme? Q 17. When exemption from whole of tax collected on goods and/or services has been granted unconditionally, can taxable person pay tax? Q 18. What is remission of tax/duty? Ans. It means relieving the tax payer from the obligation to pay taxon goods when they are lost or destroyed due to any natural causes. Remission is subject to conditions stipulated under the law and rules made thereunder. Q 19. Whether remission is allowed under GST law? Ans. Yes, proposed section 11 of Model GST law permits remission of tax on supply of goods. Q 20. Whether remission is allowed for goods lost or destroyed before supply? Ans. Remission of tax will apply only when tax is payable as per law i.e. taxable event should have happened and tax is required to be paid as per law. Under GST Law, levy is applicable upon supply of goods. Where goods are lost or destroyed before supply, taxable event does not occur in order to pay tax. Accordingly, question of remission of tax does not rise. Q 21. Whether remission is allowed on goods lost or destroyed for all reasons? Ans. No, on plain reading of the language of proposed Section 11, remission is allowed only for those cases where supply of goods is found to be deficient in quantfty due to natural causes. Ans. Yes. Under Section 10 of the Model GST Law, the Central or the State Government, on the recommendation of the GST council can exempt the supplies from the levy of GST either generally or subject to conditions.